1.) 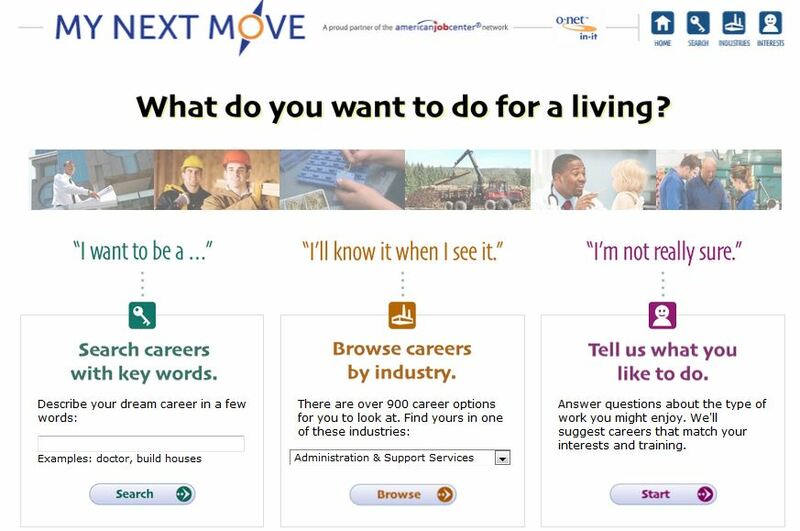 “I want to be a…” section helps students explore whatever career they type in the search box. 2.) “I’ll know it when I see it…” section helps students browse careers by various industries, which are in the drop-down menu. 3.) “I’m not really sure…” section helps students evaluate possible interests areas by completing the Interest Profiler. This site is a quick and easy way for students to explore various careers they are interested in, so when they have some extra time with “nothing to do,” have them log on and see what is involved in their possible interest areas. Also, there is a tab at the bottom left side of the home page if you have students/children who need to explore this website in Spanish. So, bookmark this easy-to-use site for your child/student to explore! O*NET – a great classroom resource! So, how many of you have students who seem to have an unrealistic transition plan? As a freshman/sophomore, they still have time to explore more options, but as your students enter their junior year, it is critically important that they understand their abilities need to fit together with the required skills for their desired career. 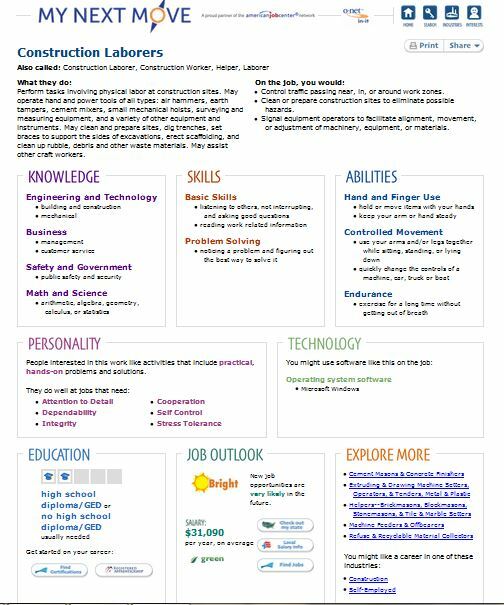 If you have never used O*NET Online, this site can help students understand some of the skills and abilities they will need for their intended career path. There are two basic ways to research possible careers: one is quick and easy, and provides basic job information; the other is also quick, but provides much more job-specific detail. This will take them to a page where they have three options: They can search by a specific career, by the related industry, or even by answering some questions to help determine possible careers that match their interests. This gives them some quick and easy information on a possible career. This provides a great talking point to help the student see if their abilities and skills are a good fit for their chosen career. It can show them areas that they may need to work on while still in high school to help make their transition to postsecondary training go more smoothly. The O*NET site has a great wealth of information that is easy for both you and your students to access, and provide a valuable discussion for transition planning. Have them highlight the skills/abilities that they feel that are strengths, as well as marking those that they feel could be problem areas. Discuss possible options they have to improve those areas. If you have any questions about using this O*NET site, please contact your transition coordinator. And encourage your students to dig deep as they explore their options!